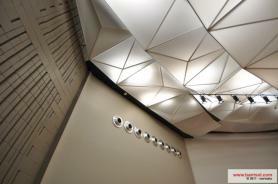 In conjunction with ARINA Consultants and Deane Constructions (NSW), Barrisol Sydney completed one of their largest project to date. 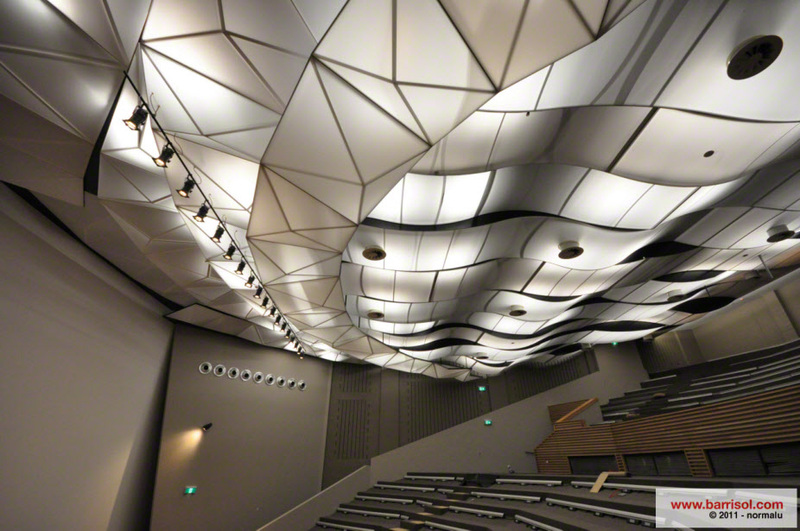 The University of Wollongong upgraded their HOPE Theatre with 650sqm of translucent Barrisol over 130 custom-made light weight aluminium frames. 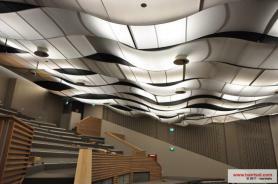 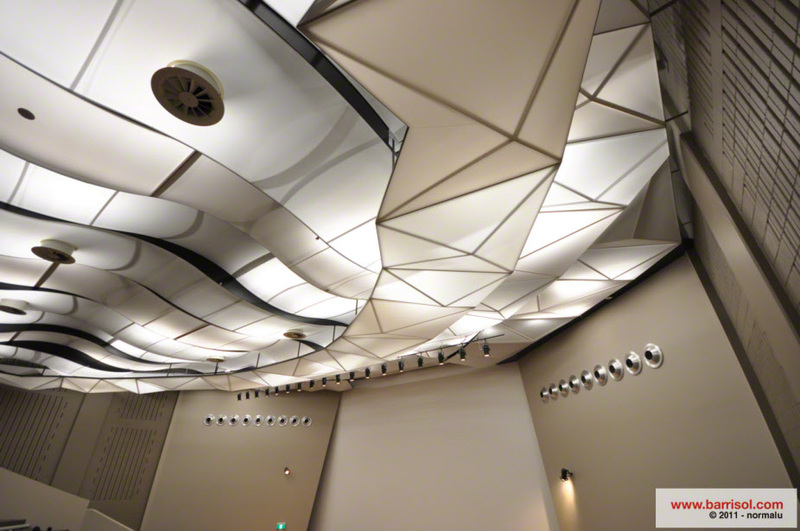 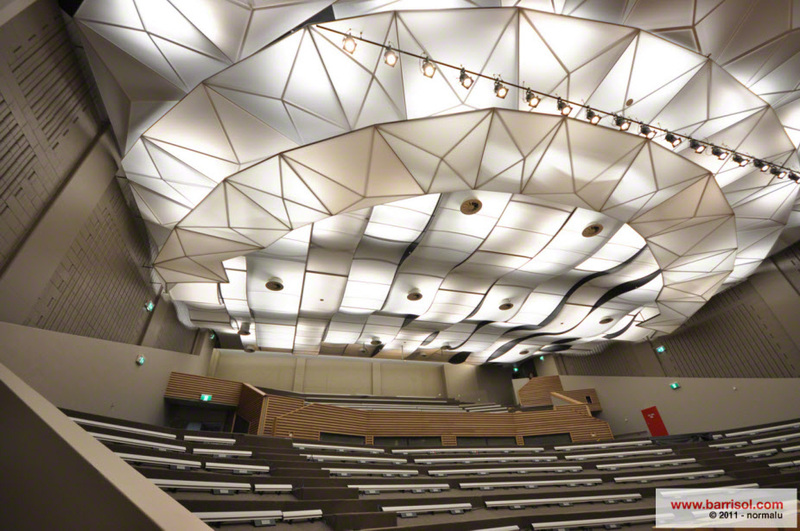 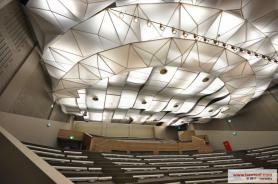 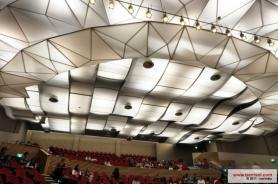 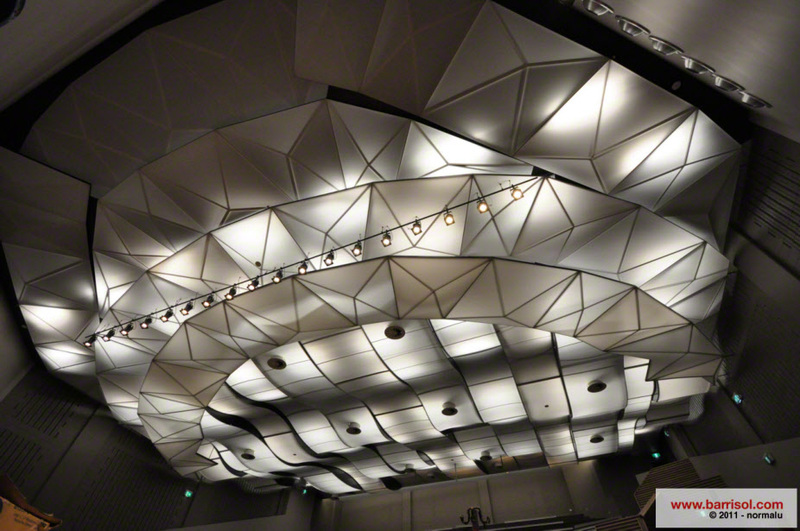 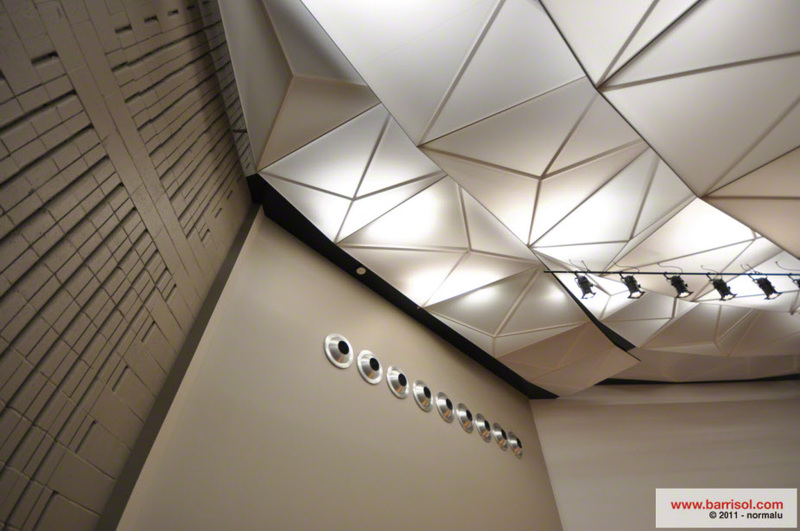 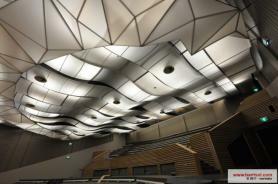 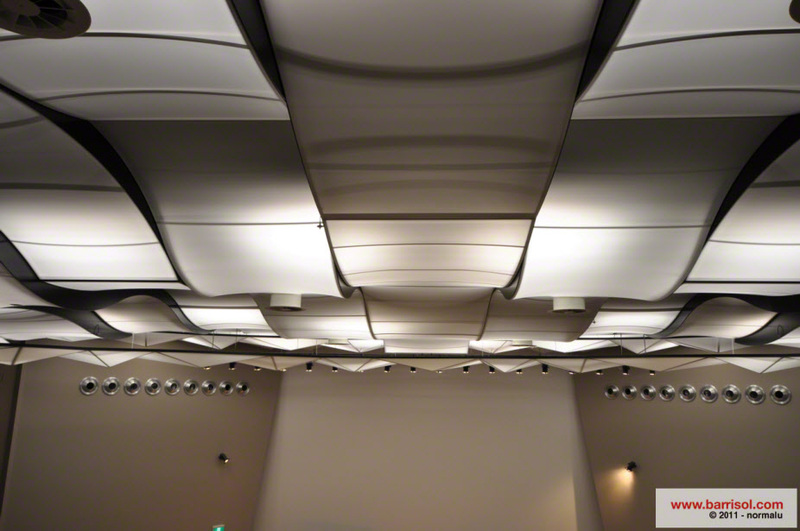 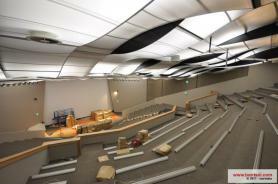 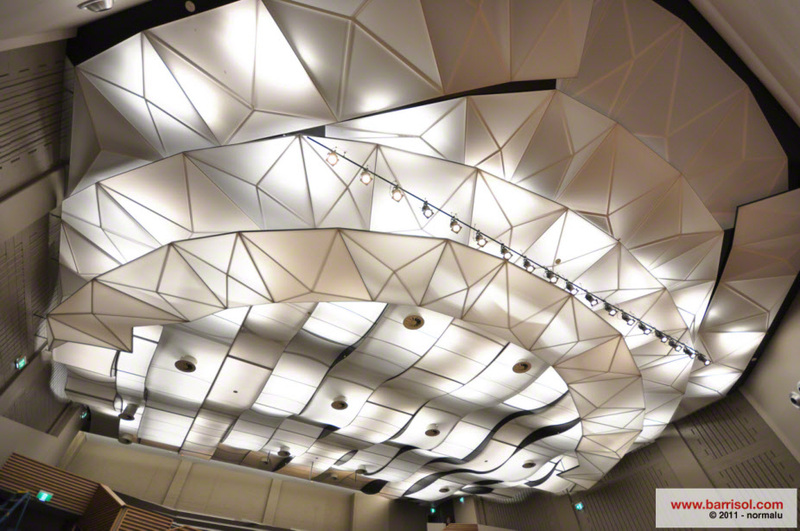 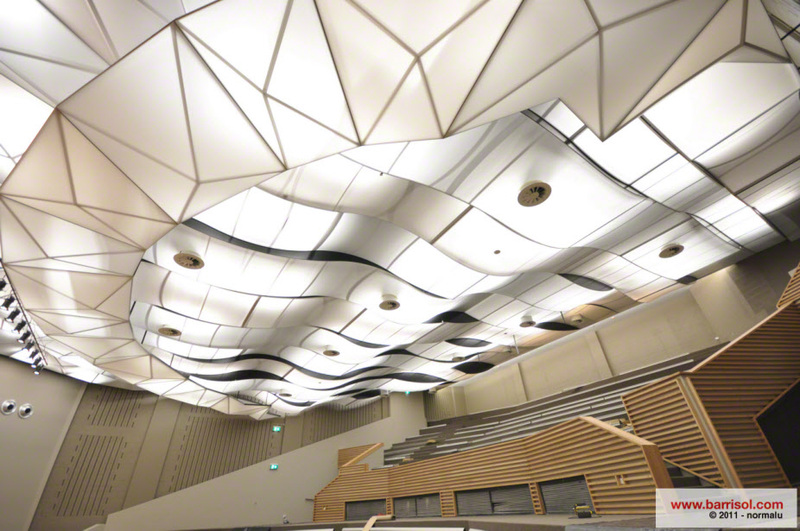 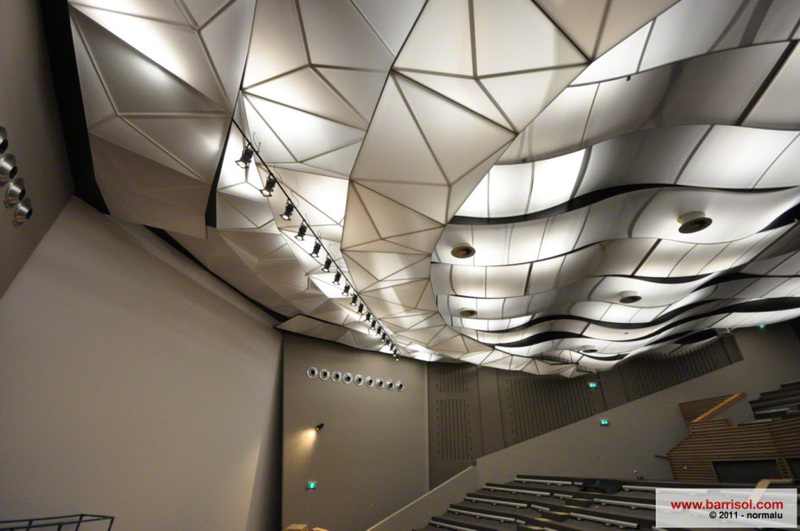 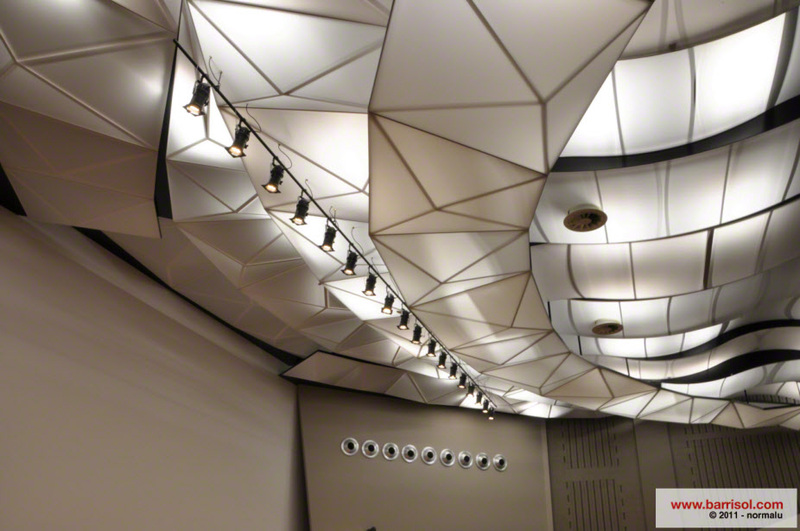 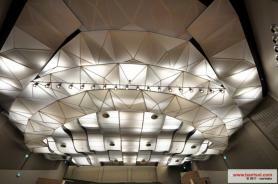 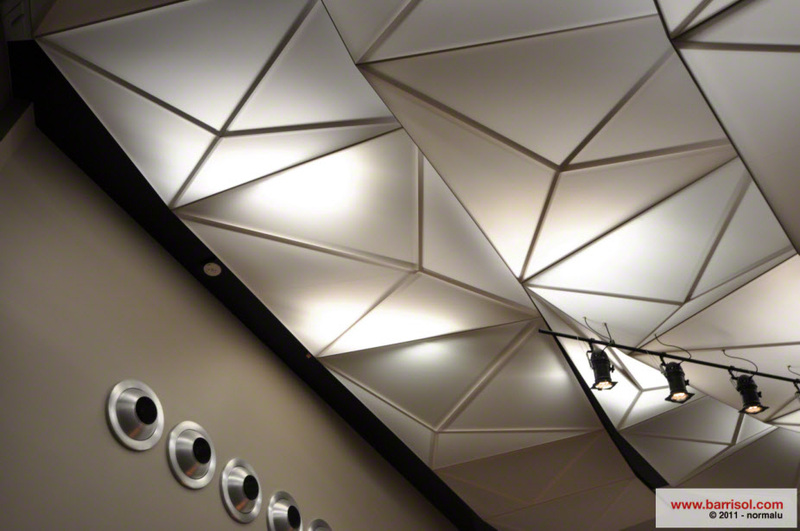 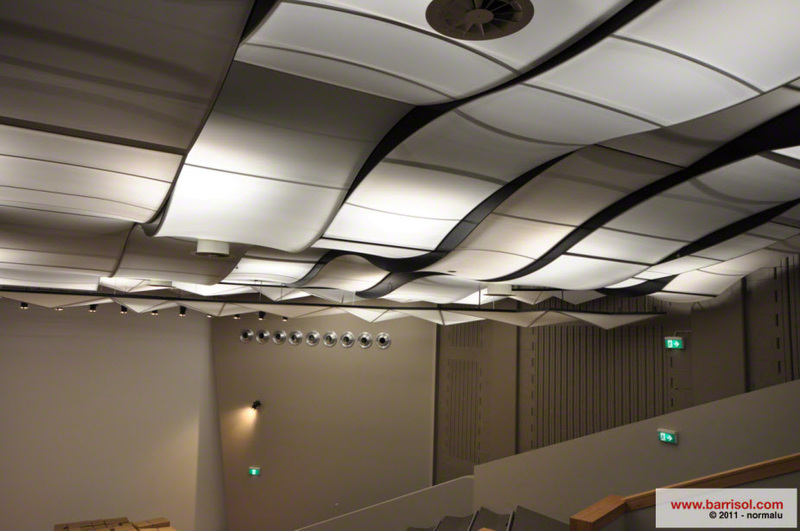 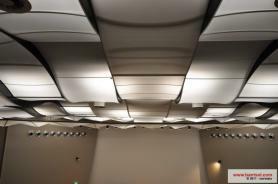 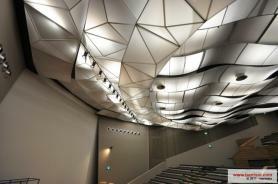 A unique ceiling design from ARINA Consultants utilised the benefits of Barrisol with 13 flowing ribbons from the rear of the lecture theatre to the front and then overlapped with 6 tiers of pyramidal shaped frames to form what has to be the most interesting lecture theatre in any University.